A wired microphone may be a better fit to use than a wireless microphone at times, reducing any chance of interference, dropouts, static or signal blockage to maintain a solid and predictable audio result. 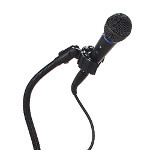 Wireless mics are much convenient and portable, but they can spell lots of trouble with interference being the main culprit and the constant worry of the status of your battery life. 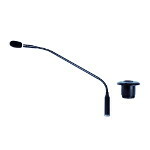 Wired microphones are durable and versatile, offering a classic look and sound that will overcome the unexpected interference. Wired microphones are less expensive and much economical than any wireless counterpart, presenting an affordable solution when budgets are limited and consistent sound quality is key. Cardioid/unidirectional, dynamic mic 15-ft. XLR to ¼-in. cord. 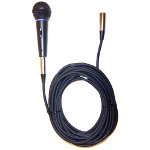 Pro Audio XLR and Dynamic Cardioid/unidirectional, mic 25-ft. XLR. For SW905, SW915 & SW925. The easily flush mounted shockmount holder allows for steady and accurate microphone positioning. This microphone can not be used with any 48v Phantom Power Supplies. This microphone is designed to be used with AmpliVox Amplifiers. 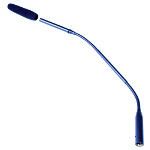 The gooseneck has two flexible sections, a center tube is used to reduce “droop”. 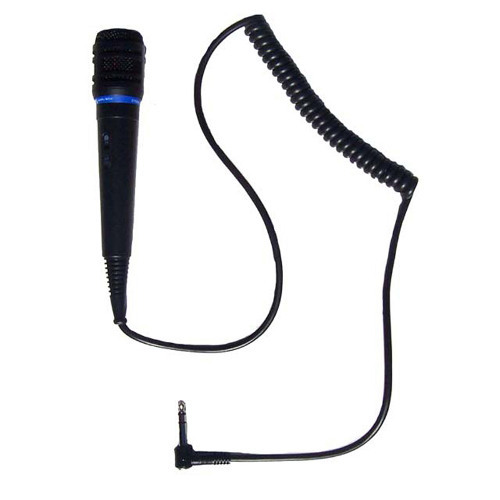 This microphone to be used only with 48v Phantom Supplies. 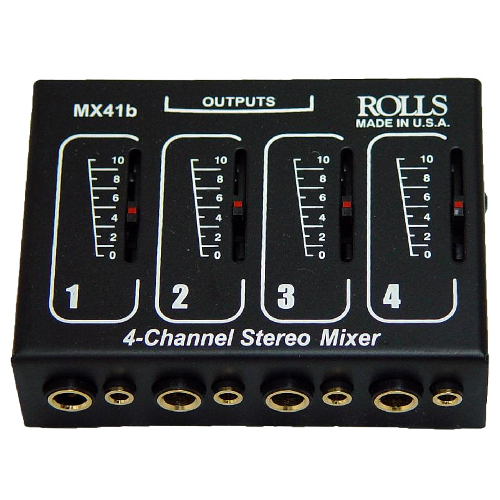 Stereo four channel passive mixer for expanding a console mixer, mixing instruments, cd or cassette players, or other signal sources. It requires no batteries or other power source. Unit many be used as a stereo 1-in 4-out box when all controls are set to maximum. 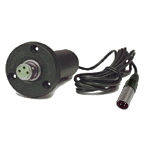 Outputs: Stereo 1/4" TRS, and stereo 1/8" TRS jacks for connection to a mixer input or other input device. 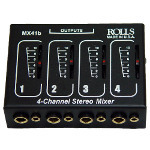 Inputs 1 - 4: 4 stereo 1/4" TRS, and 4 stereo 1/8" TRS jacks for connection to line, instrument, or consumer level devices.